Robert Rodriguez routinely pushes the envelope in his films. Think back to the cutting-edge 3D he introduced in his SPY KIDS franchise — or the revolutionary way he adapted the graphic novel motif of Frank Miller’s “Sin City” comics. 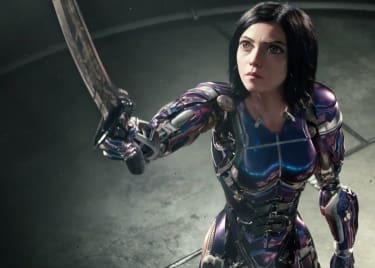 But even Rodriguez admits audiences haven’t seen anything close to the visual world he’s creating for February’s release, ALITA: BATTLE ANGEL. Rodriguez was in New Zealand at Weta Workshop putting the finishing touches on his characters and worlds when he spoke with AMC about the upcoming story, how it has evolved over the years and the contributions of the legendary James Cameron to the finished movie. 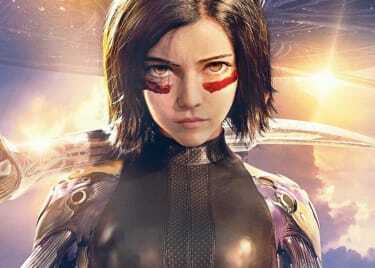 We have spoken two other times on behalf of ALITA at different stages in the process, and it's been a blessing every single time to see your enthusiasm for the project. It seems to grow each time we talk about it, because I think you see more of it come together. You have your fingers crossed most of the time at the beginning, and then you start seeing some of these images, and then by the end I'm just, I'm just blown away by the end, myself. I feel like this movie, more than any, I feel less like a filmmaker and more like an audience member. Because as the images would come through, it's like I was seeing them for the first time also and enjoying them as an audience member. Seeing the new Jim Cameron movie and going, ‘Holy crap, when did we film that?’ The effects level is so high and so real, and then it just feels like we can only visit this place in your dream. Some of these places weren't even real locations. And the acting is just so … the performance-capture captured everything about our terrific actors. They come through in a way that really just took my breath away. It's really spectacular. What is a set piece from the movie that you really can't wait for the audience to experience? You know what? It's almost like, it's a true Jim Cameron movie in the totality of it. I bet you don't even really remember a really fantastic AVATAR trailer, because you almost can’t capture it in a trailer. It's an experience. You have to watch a story from beginning to end. It’s a true journey and a character journey. And after a while, it just becomes relentlessly impressive to watch. The visuals never pull you out of the movie, because you're always thinking — it looks so real that it allows you to really suspend your disbelief for the entire picture. There's a lot of effects movies that … sometimes they're split up into different effects houses. And you go, ‘Oh that sequence looks really great!’ And others are maybe not as great. This never breaks its stride, so you can really believe it’s happening in a way I've never really seen before, and I really wasn't even expecting. It's a testament to the massive amount of work that the team put together and the high level of artistry they hold themselves to. It’s beyond anything I could ever have asked for. This is the longest amount of time that you’ve ever spent working on one particular film. What are some of the advantages to having this amount of time to just tinker and perfect as you go? It's hard to judge. When you cut the first time and are editing, you're going, ‘OK, this all seems to work.’ But you really don’t know until we see everything in there. And Jim [Cameron] was really particular about that. He’d say, ‘You don’t want to cut stuff out too soon.’ Because you didn't know how it was going to play until it was done. That happened with them on AVATAR. The studio would ask them, ‘Hey, can you cut this or make this shorter?’ Well, you can't judge it until it's there. When it's there, it’s really a different feeling. You suddenly realize, ‘Oh, I didn’t know it could look like that!’ [Laughs] You are constantly being reminded that there's a person with a helmet on in a motion-capture suit. It's hard to watch the movie and not know if it's going to work or not. So, as the visuals came in, it really allowed us to see what we had. It needed that time for them to invent the technology to bring it to life. They’ve never done anything like this before. It sounds like James Cameron was really involved in this process. Was he involved every step of the way? He's very involved in a way that, he is just the ultimate producer. He wants to be the producer that he would want. He’d say, ‘I don't want to get in your way. I want you to make it your own.’ But yet, he had done so much work on it to begin with. He was going to go make this in 2005. So, he had already written an amazing script, done a lot of the pre-visual artwork. We did more before we started shooting, but he had already cracked a lot of how he was going to do it. And then at any point, because he was busy with AVATAR, at any point I could just shoot him off an email, and he would send me back a masterful answer that was very detailed and very thorough. And he would come to set and he would watch the cuts, and he would give his feedback. I wanted it to feel as much like a James Cameron film as possible. Because it was the missing Jim Cameron movie I was never going to get to see unless I came and helped make it come to life! [Laughs] I wanted to see it ever since I saw it announced back in 2000 or whenever I first saw the announcement of it. And I knew it'd be a chance to learn how he builds his worlds and crafts the story out of so much story that is available and hones in on it. I knew it would be a master class, and he's very generous in that way. He would keep saying that he wanted me to make it my film. And I would keep going, ‘I want to make it your film!’ [Laughs] I see my movies all the time. It’s the Jim Cameron movies that are finite. There's not that many of those. How are you using 3D to really push what people see in ALITA? 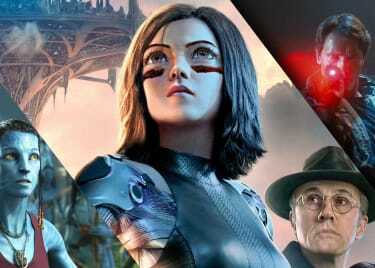 Jim and I were always going to film [ALITA: BATTLE ANGEL] in 3D. I was picking his brain about 3D on FROM DUSK TILL DAWN. I wanted to make the second half of FROM DUSK TILL DAWN in 3D. When they walk into the bar, it’d be 3D. But the cameras were crap! They were the old film cameras. He said, ‘Tell me about it! Come visit my set.’ I went to his set. His set was TERMINATOR 2, the 3D ride at Universal. I got to visit that set. He had huge 65-mm cameras on a crane! This was the dinosaur years. And then when digital came out, I used his digital cameras to shoot the first digital 3D movie, which is SPY KIDS 3-D. So, he and I went around to all the different exhibitors trying to get them to put 3D projectors in the theatres so that by the time AVATAR came out, there would be 3D projections. He wanted to use 3D, native 3D, in a way that really drew you into the characters. We've seen a lot of conversions over the years, and a lot of them are not very good at all. It's more like an afterthought. So, we really shot this in 3D. Jim and I said we have to shoot in 3D, native 3D. He had said, ‘Look, if I’m going to shoot 75 or 80 percent of this in 3D, we can convert the rest; that's fine. But I want you to at least commit to 75 or 80 percent.’ I went, ‘Screw that, man, I’m doing 99 percent!’ [Laughs] I said, ‘Why not? Let’s just pull out the 3D cameras! Let’s just do it on everything. Why don't we make it easy for us?’ We wanted it to have that window into this world. We want people to see the world through Alita’s eyes. Genuine 3D is actually the way to do it, and it really makes a huge difference. 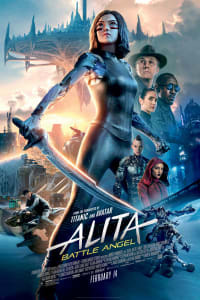 ALITA: BATTLE ANGEL opens in AMC theatres on February 14.